We head back to the Carter years via 2016’s 20th Century Women. Set in California circa 1979, we meet Dorothea Fields (Annette Bening), a single mother who struggles to raise teen son Jamie (Lucas Jade Zumann) on her own. To help out, Dorothea recruits two younger women. Punk artist Abbie (Greta Gerwig) rents a room in the Fields house, and teenager Julie (Elle Fanning) resides in the neighborhood. All three women come together to form an unusual sort of family, one abetted by token male/handyman/fellow Fields housemate William (Billy Crudup). 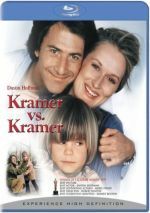 The Blu-ray’s box art refers to 1979 as a “time brimming with cultural change”. I think the Millennial who wrote that blurb must’ve confused the late 1970s with the late 1960s. I lived through 1979 and I’d never describe it as a “time brimming with cultural change”. Not that I don’t have fond memories of the era. I was 12 in 1979 and remember it with affection – other than my broken collarbone that summer. And the time a week later when lightning hit our house and started a fire. And going into the hell known as “seventh grade”. And entering puberty. Crap – maybe 1979 actually sucked for me! Personal baggage aside, Women doesn’t connect to its era in a substantial manner, which surprises me. People smoke more than they would in a more modern-day film, and obviously technology seems different, but otherwise, the movie lacks much that I think reflects its period. Writer/director Mike Mills went with 1979 for semi-autobiographical reasons. Born in 1966, Mills was a little younger than Jamie in the movie, but it’s still close enough to see this as an attempt to relate to Mills’ own life. For the most part, I think it’s good that Women doesn’t act as an overt reflection of its era. Most movies would throw out period references in a heavy-handed manner and use these elements as gimmicks, so I appreciate its essential absence of kitschy cultural references. Women also doesn’t stick its perspective solely in the 1970s. Via voiceover, we hear the characters refer to events that their post-1979 selves will experience. These moments exist mainly to spotlight the transience of life, and I don’t know how much they add to the tale beyond some melancholy sentiments. Not that I’m positive how much substance comes from Women in the first place. While I appreciate that it tells a tale personal and meaningful to Mills, I’m unsure how well this translates to others. To be clear, Women manages to give us a moderately interesting character journey, and it comes with an intriguing idea, as it focuses on three women – all with their own emotional baggage – who try to teach a boy how to become a man. As single-parent households became more common over the last few decades, that topic boasts resonance, and the film’s “it takes a village” approach gives us a potentially involving way to tackle the topic. The characters all manage to hold our attention reasonably well. Mills explores them to a decent degree and the actors flesh them out in a positive manner, as they all depict their roles with honesty and verve. So why does the end product leave me a little cold? Maybe Mills spreads himself a little too thin, as he takes the standard “coming of age” story and expands it farther past Jamie than might make sense. Granted, I get why he does this, as he wants to dig into the women’s stories to reflect how they influence Jamie. However, with less than two hours at its disposal, the movie lacks the cinematic real estate to delve into these individual journeys to a satisfying degree. We get snapshots of the various parts and not much else. Still, Women comes with enough emotional honesty and introspection to turn it into a mostly engaging drama. While it lacks the insight I’d like, it manages to keep us with it. 20th Century Women appears in an aspect ratio of approximately 2.00:1 on this Blu-ray Disc. The visuals held up fairly well. Sharpness looked appropriate. Delineation remained satisfying, so the image seemed accurate and concise. No issues with jaggies or shimmering occurred, and I saw no edge haloes or source flaws. In terms of colors, the movie opted for orange and teal, though it kept these subdued, so they didn’t go crazy. The low-key palette seemed satisfactory. Blacks were pretty dark and tight, and low-light shots displayed reasonable clarity, though I thought they could be a smidgen murky at times. While not excellent, the visuals appeared positive. I wouldn’t anticipate fireworks from the audio for a gentle character piece like Women, and itsDTS-HD MA 5.1 track gave me the expected subdued affair. Music became the most prominent aspect of the soundfield, as the score and songs used the five channels fairly well. Effects had less to do. Ambience ruled the day, so not much more gave the track pop. This seemed appropriate, though, as the chatty flick didn’t come with obvious opportunities for sonic sizzle. Audio quality appeared fine. Music was full and rich, while effects came across with appropriate accuracy, even if they lacked much punch due to a lack of ambition. Speech came across as distinctive and concise. Nothing here excelled but the soundtrack fit the material. A handful of extras flesh out the set, and we find an audio commentary from writer/director Mike Mills. He offers a running, screen-specific look at story/characters, autobiographical elements, cast and performances, sets and locations, music, influences, cinematography, period details and related components. Mills delivers a pretty terrific commentary. He delves into how the film reflects his life as well as a variety of cinematic techniques/choices. Mills makes this an engaging, informative track. Two featurettes follow. Making 20th Century Women runs nine minutes, 31 seconds and offers notes from Mills, producer Youree Henley, production designer Chris Jones, costume designer Jennifer Johnson, cinematographer Sean Porter, and actors Annette Bening, Lucas Jade Zumann, Greta Gerwig, Elle Fanning, and Billy Crudup. “Making” covers story and characters, period details, costumes and production design, cast and performances. “Making” offers a short but moderately effective overview. 20th Century Cast lasts 10 minutes, 49 seconds and features Mills, Bening, Gerwig, Zumann, Fanning and Crudup. As expected, this one talks more about cast, characters and performances. It’s less interesting than “Making” but it adds some useful notes. The disc opens with ads for Moonlight, La La Land, American Honey, The Lobster and Morris From America. No trailer for Women appears here. 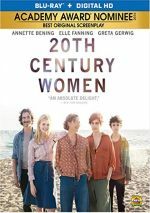 A combination of coming of age tale and period piece, 20th Century Women delivers a mostly engaging character drama. While it falters at times, it still manages a good mix of honesty, wit and heart. The Blu-ray brings us largely positive picture and audio along with a few supplements. Women mostly succeeds.